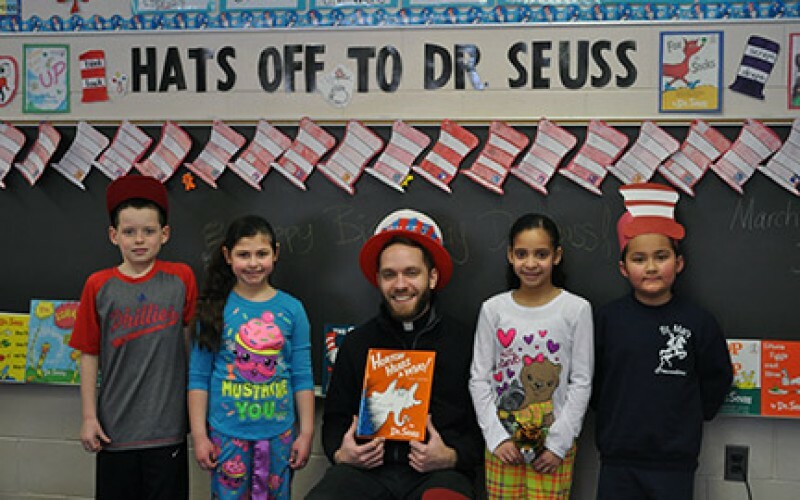 In photo, Father Kevin Mohan, parochial vicar at Our Lady of Peace Parish, Williamstown, reads “Horton Hears A Who” to second grade students at St. Mary School. Students are wearing pajamas as part of the day’s activities. 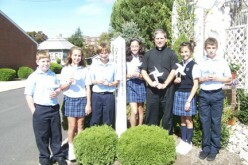 The St. Teresa Regional School chapter of the National Junior Honor Society was established in September 2012. There are currently 28 members. 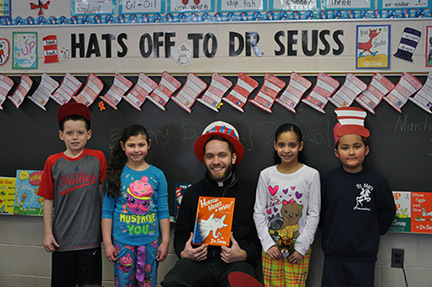 The St. Teresa chapter, along with more than 6,000 chapters in schools across the nation, strives to give practical meaning to the Society’s standards of scholarship, leadership, service, citizenship and character.